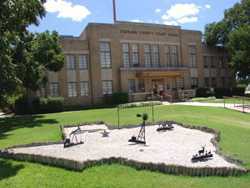 Sterling County Courthouse, Sterling City, Texas. 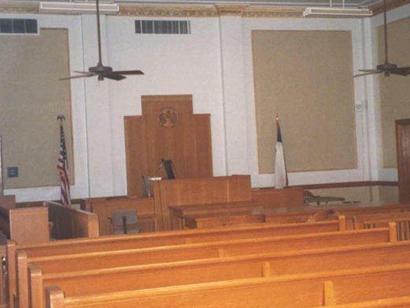 One of the first things I look for when I go inside a county courthouse is old pictures of the former courthouse or courthouses. 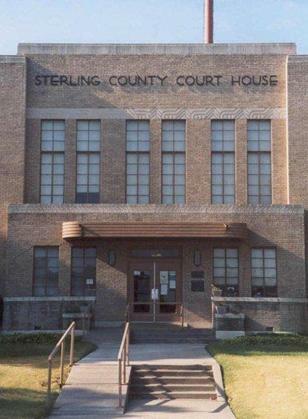 The Sterling County Museum was closed during my visit, so I hoped that I would find some pictures inside the 1938 courthouse. 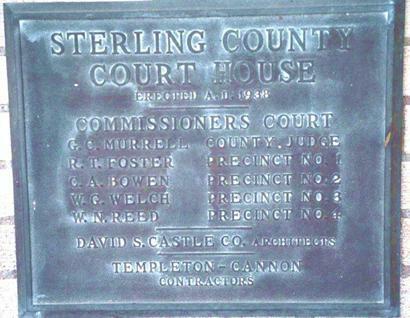 According to the THC, Sterling County's first courthouse was designed by Oscar Ruffini in 1891. 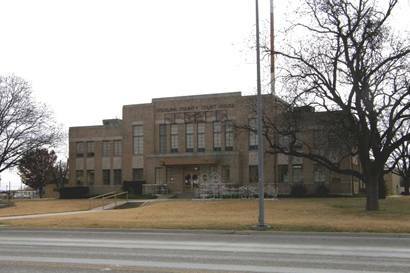 Oscar and his brother Frederick designed many Texas county courthouses in the late 1800s. 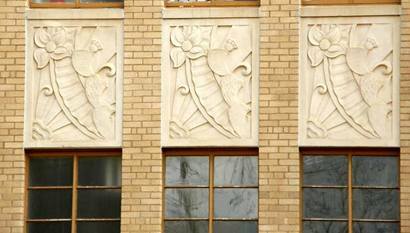 When a new courthouse was built in Sterling County in 1905, the 1891 courthouse was turned into a hotel. 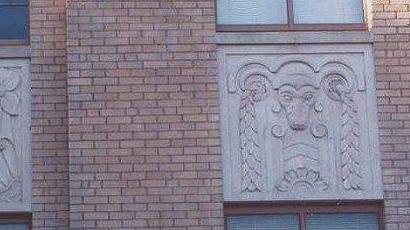 I found no pictures of either building inside the courthouse. My search led me to the office of the Justice of the Peace. I talked to the woman who was there (I'm assuming it was the Justice of the Peace) but she didn't know about the 1891 courthouse. 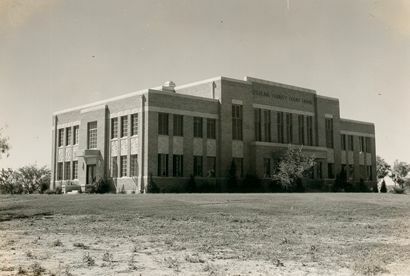 She told me that the 1905 courthouse was very similar to the 1901 Irion County courthouse built (and still standing) in Sherwood, the first Irion County seat.